President Trump is very flexible when it comes to foreign policy. He promised to stay away from overseas military adventures but seized limelight with his cruise missile strikes against Syria. He said the North Atlantic Alliance was obsolete and not needed. Now he says «I said it was obsolete. It’s no longer obsolete». Here is another flip-flop of his foreign policy. It was widely believed that Trump’s victory sounded the death knell for the Transatlantic Trade and Investment Partnership (TTIP), especially after the president withdrew from the Trans-Pacific Partnership (TPP) that has been on the agenda since 2013. The president said many times he would scrap or renegotiate TTIP, in the same way he vowed to look at the North American Free Trade Agreement (NAFTA) with Mexico and Canada. The TTIP was deemed «dead and buried» when President Trump entered office. The lights appeared to be going out all over the world of free trade. The White Paper on Donald Trump’s Economic Plan prepared by Peter Navarro and Wilbur Ross in September 2016 defined cutting the trade deficit as a priority task. The goal is to be reached through bilateral deals. UK Foreign Secretary Boris Johnson was told in January that Great Britain was ‘first in line’ for trade deal with the United States. Now, that appears to be null and void. According to The Times, President Donald Trump is pushing Britain behind the European Union in the queue to strike a new trade deal. The president believes that a trade deal with the EU, allowing for tariff-free exchange of goods and services, is more important to American interests than a post-Brexit deal with Britain. The United States has just indicated willingness to revive negotiations on a trade deal with the European Union – a sudden and drastic shift of policy. The talks on the deal got stalled in November. 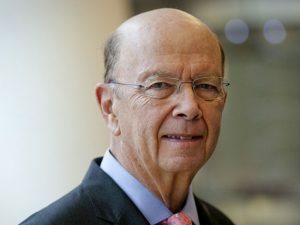 US Commerce Secretary Wilbur Ross (pictured) met Secretary Cecilia Malmstrom, the EU’s trade envoy, on April 24 to tell her he wanted to focus on Europe. It has been reported that last month German Chancellor Angela Merkel convinced President Trump that he should change his stance on the TTIP. «The three big [economies] that are the sources of our trade deficit outside of [the North American Free Trade Agreement] are China, Japan and Europe. So it is logical that… one should focus on Europe», Wilbur Ross told the Financial Times, marking a shift in tone by the Trump administration. He said the administration had made a conscious decision not to scrap the TTIP. Looks like the prospects for the «once buried» TTIP are revived with the talks to be launched after the September elections in Germany. One of the conditions is Emmanuel Macron’s victory in the second round of the presidential election to take place in France on May 7. And he is likely to win. During the first hundred days of his tenure, President Trump has changed positions on a range of issues, including fiscal policy, taxes, trade and a host of fundamental foreign policy issues. He was tough on Iran blaming it for all the things that go awry. Now the administration reports to Congress that Tehran is complying with the nuclear deal. He accused China of currency manipulations and promised to hit back. Now he says «They’re not currency manipulators». Before the recent US-China summit in Florida, President Trump was sure Chinese President Xi Jinping held the key to the solution of North Korean problem. «After listening for 10 minutes, I realized it’s not so easy», Trump told The Wall Street Journal. «I felt pretty strongly that they had a tremendous power… but it’s not what you would think». The view on the problem was changed in just ten minutes! Donald Trump promised to keep the US away from armed conflicts in remote countries. In 2013, the president opposed the idea of intervention in Syria. In April, 2017, he delivered a cruise missile strike and said chemical-weapons (CW) attacks and barrel bombs against innocent civilians are unacceptable. He gave the order to strike even without waiting for the confirmation of CW use by the Organization for the Prohibition of Chemical Weapons (OPCW). President Trump slammed NATO but reversed the stance later. He said he wanted a deal and good relations with Russia. President Trump said he believed the US and Russia should join efforts in the fight against terrorism. It’s no longer the case. The future of relationship with Moscow hangs in the air. There is no policy on Russia. «Right now we are not getting along with Russia at all. 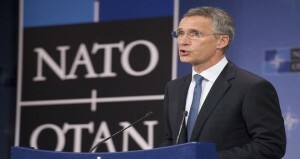 We may be at an all-time low in terms of relationship with Russia», Trump said at a White House press conference with NATO Secretary General Jens Stoltenberg (pictured). He has not reversed the policy on Cuba and has not moved the US Embassy in Israel from Tel Aviv to the disputed city of Jerusalem, as he had promised. Nothing has been done as yet to renegotiate or reject the NAFTA agreement. President Trump has not withdrawn from the historic Paris accord on climate change, as he promised he would during the election campaign. There are a lot of nuts-and-bolts issues, like the possibility of re-appointing Janet Yellen as chair of the Federal Reserve, the usefulness of low interest rates and the role of the Ex-Im bank, the administration has changed its position on. There may be different explanations. For instance, there are many key positions in the State Department remaining unoccupied. It’s hard to formulate foreign policy under the circumstances. There may be other reasons but it does not change the main thing – the US has no foreign policy. It simply does not exist. Not yet. It’s impossible to even say if it is in the process of being shaped. Some people close to the president exert more influence today than others. It may change tomorrow. You never know. The only thing certain is that the US foreign policy is unpredictable. «We must, as a nation, be more unpredictable», then presidential candidate Trump said during a major foreign policy address in April, 2016. «We are totally predictable. We tell everything. We’re sending troops: We tell them. We’re sending something else: We have a news conference. We have to be unpredictable. And we have to be unpredictable starting now». One year has passed. Donald Trump has kept his word. True, the US cannot be ignored. Other countries have to deal with Washington on a day-to-day basis. But this is the wrong time for making serious deals and discussing fundamental issues and long-term foreign policy goals and plans. It serves the purpose to just wait and not expedite things. Today, you never know how it’s going to pan out.